Nights of the Arcane Vol. 1 is a dark-fantasy comic book that introduces the secret world of the societies of the old and the supernatural. Vampires, werewolves, zombies and many other creatures are aplenty in the contemporary world of the arcane that has had to adapt to survive under the watchful eye of the unsuspecting humans. 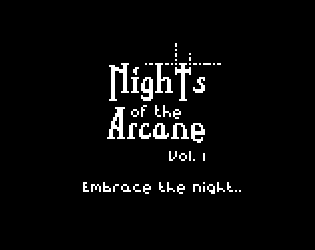 Currently, Nights of the Arcane Vol. 1 is a comic book that is still in-development and subject to updates and changes with only a few pages of content to offer. So, you can grab the few pages that are available free of charge. Key features of the comic book as it is now?